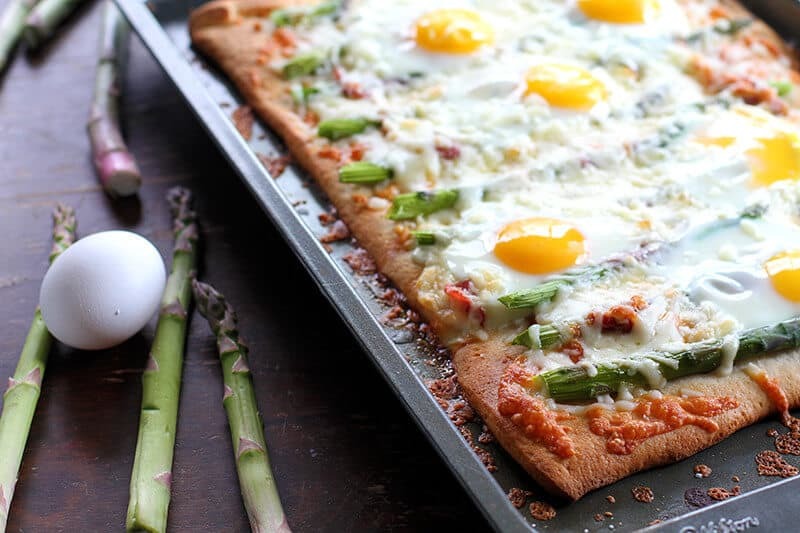 This Asparagus, Capicollo & Egg Breakfast Pizza is so darn springy it makes me want to run around in the grass snow outside. Yes, I said snow. Sigh. This is Alberta in the spring folks, so this past weekend we got snow. 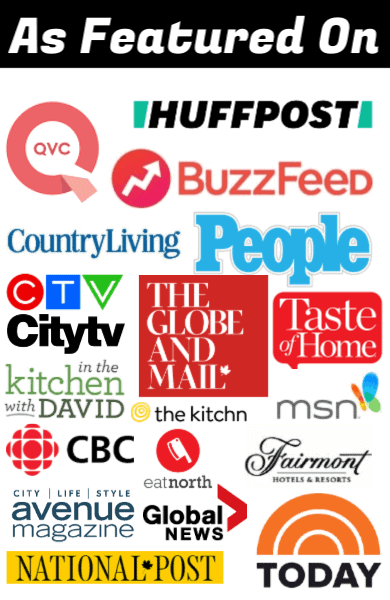 My poor boy was at Scout’s camp all weekend in the river valley here in Edmonton and I fretted at home like the proverbial mother hen, worrying if he was going to be warm enough. He was. He had fun. He was fine. I’ll stop my worried clucking now. So ignoring the snow, it’s still spring here in Edmonton and spring brings out the vegetable girl in me. I wanted a pizza with asparagus something fierce the other day. Roll the pizza dough out into a rectangle and place onto the baking sheet. Pre-bake the pizza dough for 5 minutes. Place the asparagus spears on top of the dough, evenly spaced. Add the capicollo, spacing it evenly on top of the pizza. Crack the eggs onto the top of the pizza spacing as wanted. Place the pizza in the oven and bake for another 10 minutes until the cheese is melted and the eggs are wobbly still. Remove, cool slightly and serve! 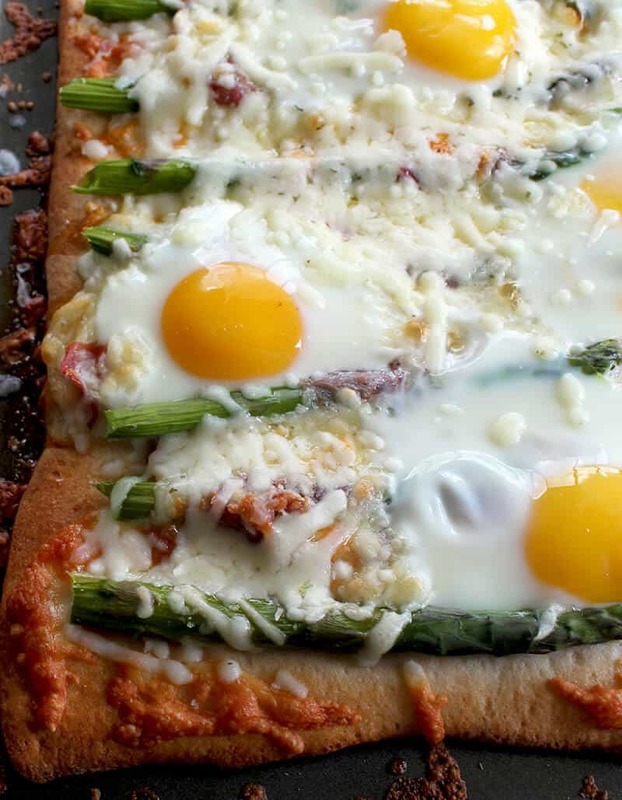 This pizza has no sauce, just lightly steamed asparagus, capicollo, cheese and eggs. I used whole eggs, not beaten, as I wanted it to be really a breakfast pizza, with yolky eggs on top. You can either use a boxed pizza dough mix or one from the refrigerated tube, it really is up to your which one you want to use! All pizza doughs will work properly with this recipe as you prebake the crust to make sure it’s not soggy. You can absolutely make this breakfast pizza with a homemade pizza dough recipe and you can make this breakfast pizza even healthier with a whole wheat pizza dough if you are so inclined. I am not inclined to make pizza dough first thing in the morning for breakfast, so I use premade. Pancetta would work as well on this pizza, but I had a package of gorgeous capicollo waiting for me. I adore capicollo the thin-as-a-breath-of-air slices almost melt on your tongue and were a fabulous salty addition to this pizza. 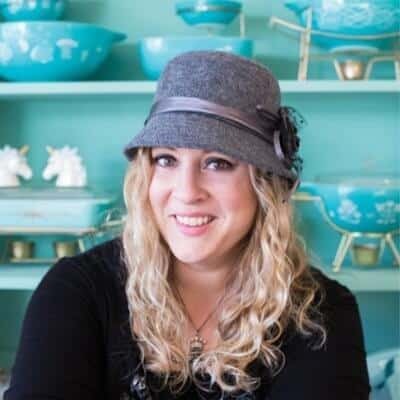 Happy cooking and Happy Spring everyone! Pizza for breakfast? Yes please! 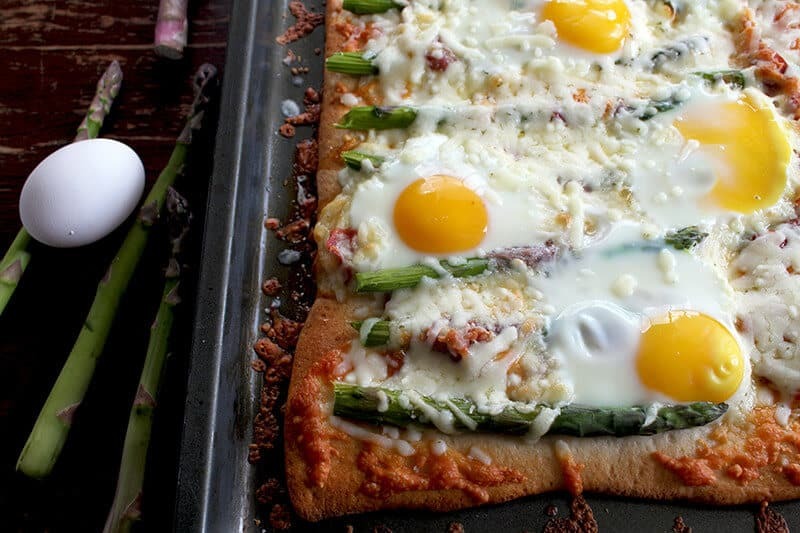 Asparagus, capicollo and eggs top this amazing breakfast pizza. Breakfast, lunch or dinner,this is one fabulous meal! Oooh.. I had something very simular for brunch in Calgary at Briggs! !